In A Remainder of One, the ants are back with more problems dividing their troops, this time for an upcoming parade. No matter how they divide their 25 member army, poor Joe Bug is always left alone. They try 2 lines of 12, 4 lines of 6, and 3 lines of 8. How can they divide up without a remainder of one? 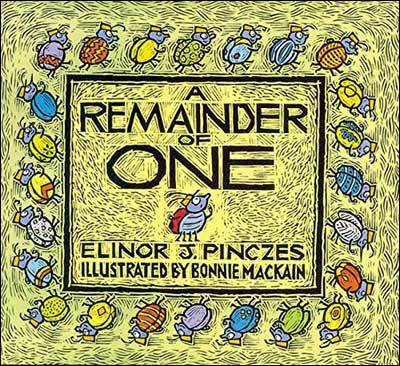 If you like this book, be sure to check out this duo's other math book with the same cute little ant characters: One Hundred Hungry Ants. For kids in Kindergarten and first grade, this book will need to be a read-aloud rather than for individual reading, as the reading level will be too high for the majority of them. However, many to most second graders should be able to read this book on their own (perhaps not at the beginning of the year, but as the year moves on). Below are sample illustrations from inside A Remainder of One. These pages should give you an idea of Bonnie Mackain's adorable illustration style plus the amount of text per spread (in general). 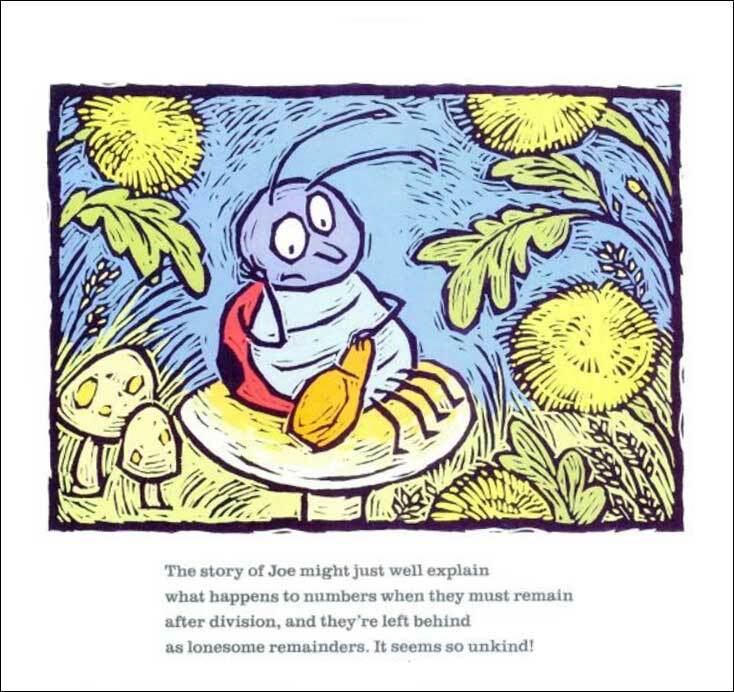 The page on the right depicts Joe Bug, the sad little 'remaining' ant that is left out when the ant army divides. As you can read on this sample page, the text is fun and lyrical--a joy to read. The next spread in the book is also shown below. It reads: "Down by an orchard of young apple trees, the sunshine felt hot about 90 degrees. So insects all scurried for any cool shade, from mushrooms or leaf, they watched a parade." There are a lot of lesson / activity packs available on Teachers Pay Teachers for A Remainder of One. We haven't personally used them with our classes, but some have a lot of positive reviews. 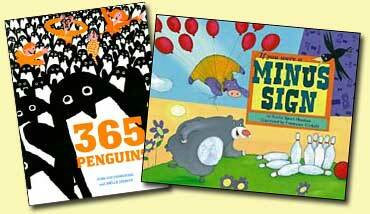 To see these A Remainder of One lesson / activity ideas, click the link or the pictures below.